Changing the transmission fluid in your vehicle is one of the most over looked maintenance items for most car owners. Depending on the make and model car you have, the interval on your transmission fluid could be anywhere from 30,000 to 100,000 miles or 6 months to 5 years. This long service interval means that you probably don’t remember the last time you had your transmission fluid changed and the sticker to remind you has long since fallen off and gotten ground into your carpet. Changing your transmission fluid is just as important as regularly changing your engine oil. 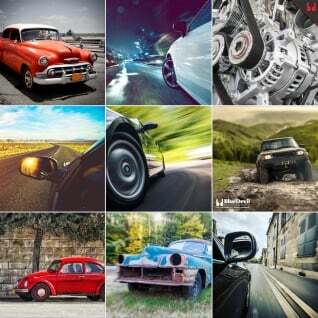 Components in your transmission are spinning at the same RPM as your engine, if not faster. Also all the power your engine is creating has to be transferred through the gears in your transmission out to your wheels so the forces at work are incredibly high. Just like your engine, if the bearings and wear surfaces in your transmission are not properly lubricated they can wear out much more quickly causing your transmission to malfunction. 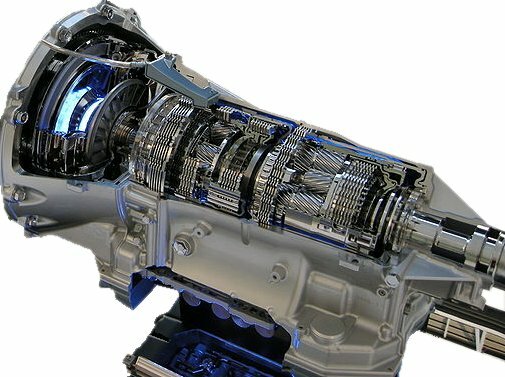 The other thing that makes regular transmission fluid changes so important is that many of the components in your transmission that may need to be serviced or replaced if they become worn are located deep inside your transmission and are not serviceable without removing the entire transmission from the vehicle. If you’ve ever had the opportunity of pulling a transmission out of a car or truck you know that it takes more than an afternoon and usually requires some specialty tools and a lot of patience. All this means that any repairs that need to be done are likely going to be very expensive. Automatic transmission fluid is much like engine oil in that it can use conventional oil as a base or synthetic materials. The oil base then has additives added including anti-foaming agents, wear protectors, viscosity modifiers and anti-oxidizing agents. Besides lubricating the gears in your transmission, automatic transmission fluid is also used to provide working pressure for the hydraulic systems in your transmission to control the clutches and bands to change gear ratios. Lastly, the transmission fluid is used in the torque converter to transfer the motion of the engine to the input shaft in your transmission. All this means that your transmission fluid does a lot of work and can collect a lot of wear products as it performs its duties. Keeping your transmission fluid in good shape will help your transmission work properly and regularly changing it will help remove the abrasive wear particles suspended in the fluid and stop them from causing premature wear. 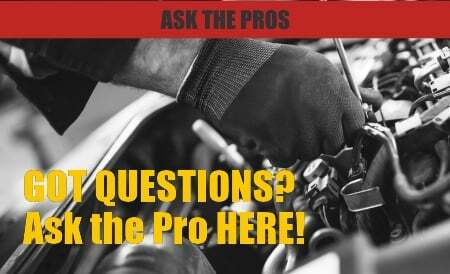 If you’re ready to learn how to change transmission fluid in your car, we’re here to help! In most cases changing your transmission fluid is just as easy as changing your engine oil. Most late model cars are equipped with a drain plug in the transmission pan just like your engine’s oil pan. Simply pull that drain plug and allow the fluid to drain into your catch pan. Once the fluid is drained, replace any crush washer or gasket on the drain plug and tighten. Make sure to check the torque specs on that drain plug in your manual as the transmission oil pan is usually made from soft aluminum and can easily be stripped if you over tighten the plug. Once the drain plug is reinstalled properly you can refill your transmission with the proper type of transmission fluid. Your user’s manual will give you the proper fluid type and amount. Usually you can add the fluid through the dip stick tube using a funnel with a small opening and a little patience. In some cases your transmission may be equipped with a filter that needs to be changed as well. Transmission filters are internal filters meaning they are housed within the transmission rather than externally like your engine oil filter. If you simply remove your transmission oil pan you should have access to the filter underneath. When removing your transmission pan, make sure to be careful not to bend or damage the flange that bolts to the transmission or you may end up with leaks when you replace the oil pan. Once you’ve added your new transmission fluid, make sure your vehicle is on level ground, put it in park and start your engine. As quickly as you can, check the transmission fluid level. It should be in-between the “high” and “low” marks on the cold end of your dip stick. As you are cleaning up, we recommend pouring the old transmission fluid into the empty bottles you have from refilling the transmission. This helps to ensure the containers will not corrode or react to the transmission fluid inside, but it also helps you see if you got as much transmission fluid out as you put back in. If you discover you didn’t get as much fluid out of your transmission as you put in, it may be an indication that you had a transmission fluid leak and you had a low level right before you changed it. If this is the case consider adding BlueDevil Transmission Sealer with your new fluid. BlueDevil Transmission Sealer is specially formulated to revitalize the seals in your transmission to seal any leaks without affecting your transmission’s performance or internal components. I am pretty sure that the transmission fluid in my car needs to be changed, and my wife insists that I do it myself rather than take it to a shop. This could honestly go pretty bad, but might as well give it a shot. Hopefully it turns out to be as easy as you say, and it is only a matter of changing engine oil. If it isn’t though I think I can get it done with good explanations. If not though, then I will definitely just take it to a repair shop for service. Using BlueDevil to stop your Rear Main Seal Leak — Why is My Equipment Leaking Hydraulic Fluid?